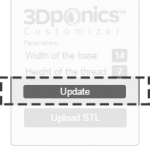 If you’ve built a 3Dponics system of your own, you can now use our amazing app to develop new, custom parts for it by modifying or adapting the existing designs to meet your specific needs. It’s quick, easy and fun! Create a garden that’s more energy-efficient, produces greater yield or is easier on the eyes–the possibilities are truly endless, and the best part is that you are in control. 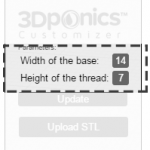 Once you’re done, connect to your Thingiverse account and share your 3D design with thousands of 3Dponics users. 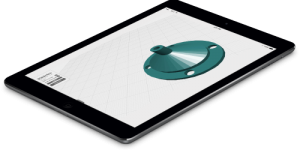 3D model to inspect. 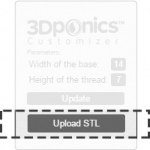 Click Update.